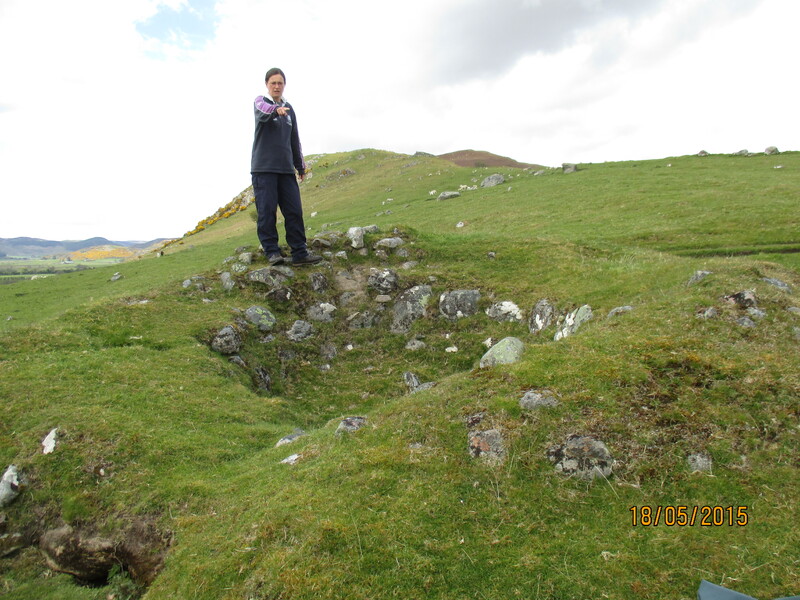 This week’s post is by Roslyn Galbraith, a third year Scottish history student at the University of the Highlands and Islands. She writes of her experience at Aberscross. All photos are from Roslyn’s collection. 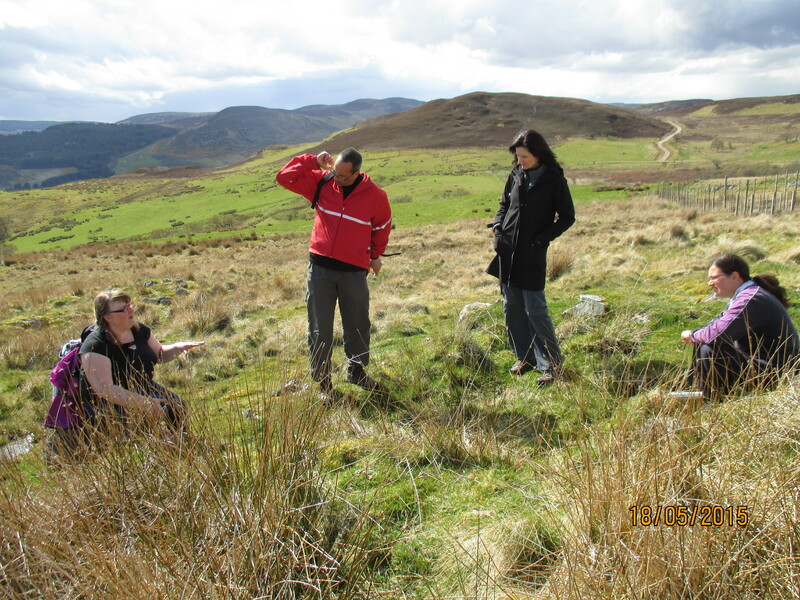 In mid May I met up with a group of fellow students from the Centre for History, part of the University of the Highlands and Islands, to explore Aberscross, the site of a Sutherland farming township. 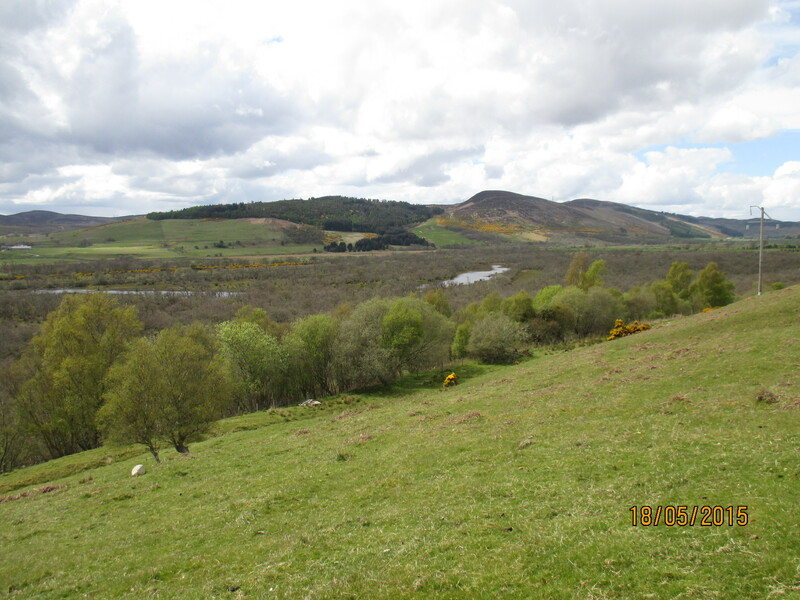 The area, near the boundary between Dornoch and Rogart parishes, has a long history of settlement and agriculture. Aberscross was the residence of the Murrays who came to Sutherland in 1198, who were involved in many feuds and battles fighting for the Earls of Sutherland and defending the region from their enemies the MacKays. Strathfleet. The tides from Loch Fleet are now controlled by the engineering work of Thomas Telford and Sutherland Estate factor, William Young. Although the weather forecast was not favourable, the heavens were with us for it stayed dry for the most part. We clambered up one side of Strathfleet. As we reached a certain height it was possible to recognise the valley floor below us. As it was subjected to tidal floods farming took place up the sides of the hills. 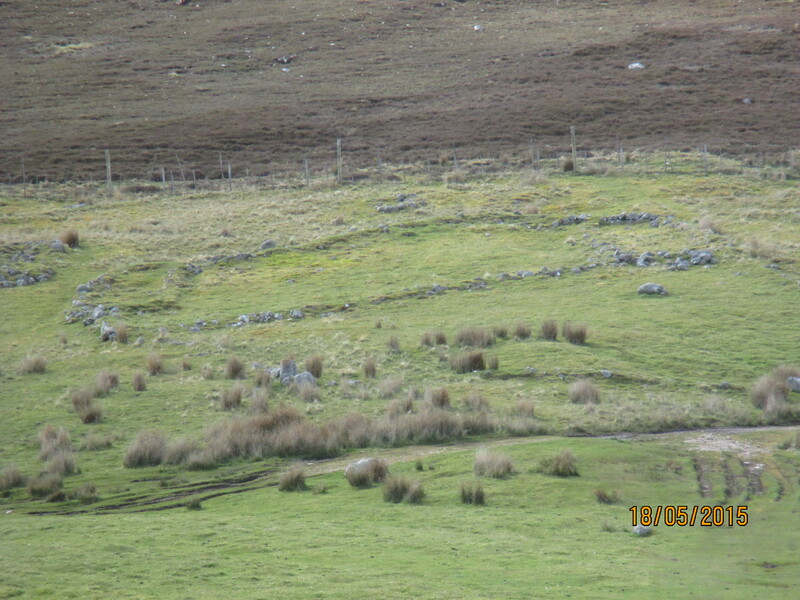 We came across a large circled area outlined by stones with what appeared to contain at least three separated areas – maybe the foundations of a tower house: residence of the Murrays perhaps? Not far from this mysterious outline, Dr Ritchie showed us an example of a corn drying kiln, where barley or oats were dried, in preparation for grinding. The kiln would have had a roof, while the hole on the left side of the kiln was where air was bellowed in to help the drying process. As we climbed further we soon came to a recognisable settlement, which contained a longhouse with turf walls built on a stone foundation. This would have had a thatched roof supported by wooden beams. The family would live at one end with the cattle at the far end or byre-end on a slight downwards slope with drainage to divert animal waste from the cattle’s feet. Between the longhouse and the enclosure ran a curving ditch which was designed to divert water away from the home and living area. There was also a kaleyard for the cultivation of vegetables, such as kale and cabbage; an enclosure where hens and chickens might be kept; and a threshing floor with storage area. 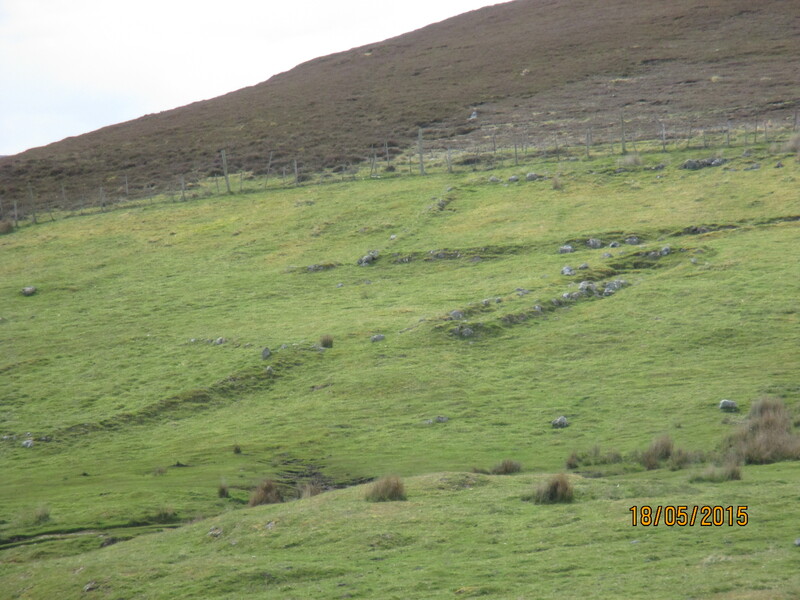 The threshing floor was an interesting discovery, for none of us students knew at the start what this outline might be and had fun guessing its use. This smaller building was probably used for storing grain but it had two doorways opposite each other, in line with the prevailing wind. This section in the middle was where the grain was threshed so the airflow separated the wheat from the chaff. Between the longhouse and the enclosure ran a curving ditch which was designed to divert water away from the home and living area. This whole settlement was much easier to make out from the other side of the hill. 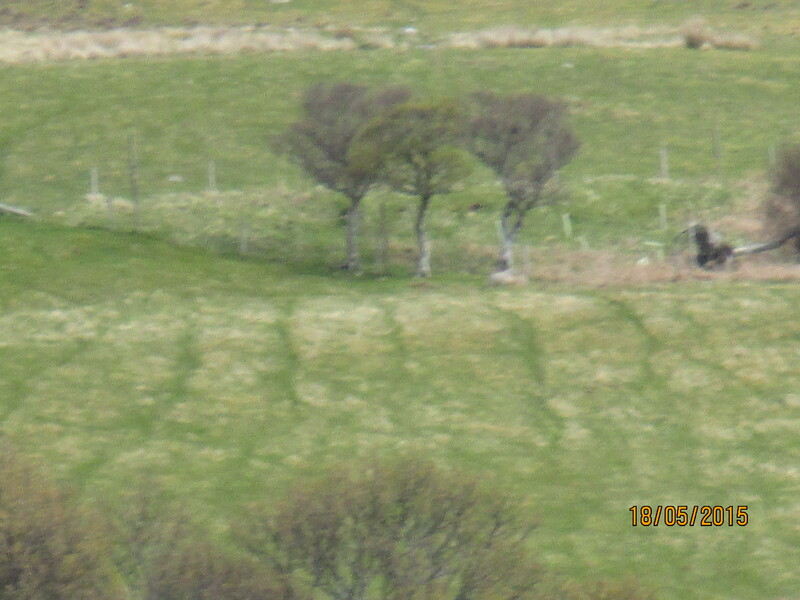 Other areas of interest included the runrigs where barley and oats were cultivated in raised ridges with furrows for drainage between them, and the summer pastures for the cattle and sheep on higher ground. Probable remnants of rig and furrow cultivation. 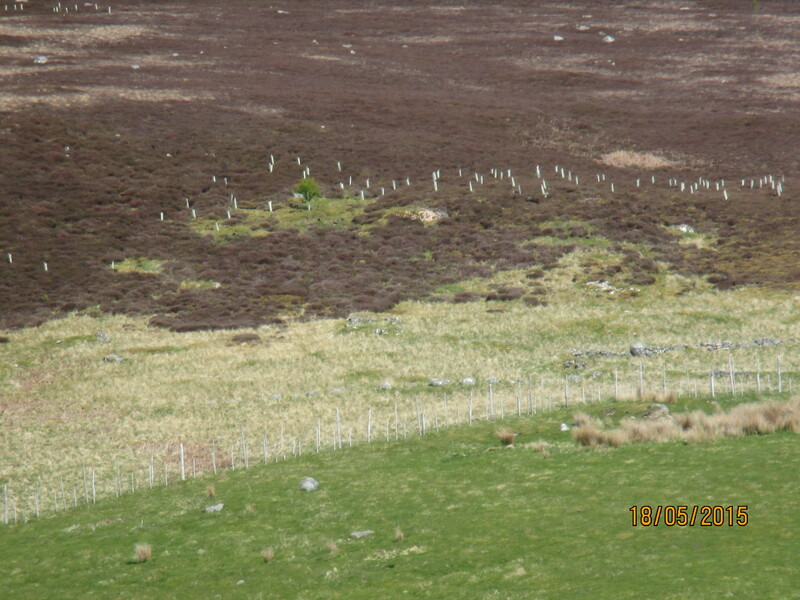 The boundary between the infield and the outfield has been overgrown by heather, but the change in vegetation still gives a clue as to where the cattle were grazed in the summer, away from the growing crops. It gave me an understanding to how people lived and farmed pre-clearance, producing enough food and produce for a comfortable subsistence existence provided the weather and harvest seasons were favourable. We sat for a bit debating on where the cottars might have lived. Were the small square buildings the homes of the poorest members of this society? As there is almost no information about the cottars we could only surmise on what type of building they lived in and in which part of the settlement they stayed. Perhaps sitting in a cottar’s home? Just enough space for a bed, a chair and a fire. It was soon time to leave and we stumbled down the hill as the heavens opened up, giving us a good soaking. On reaching Pittentrail Inn for our supper we reflected on the day’s findings, which brought what I had learned in class to life. It was a most enjoyable, thought-provoking and interesting field trip.